Thought I’d share what I stow away in my toiletries bag. 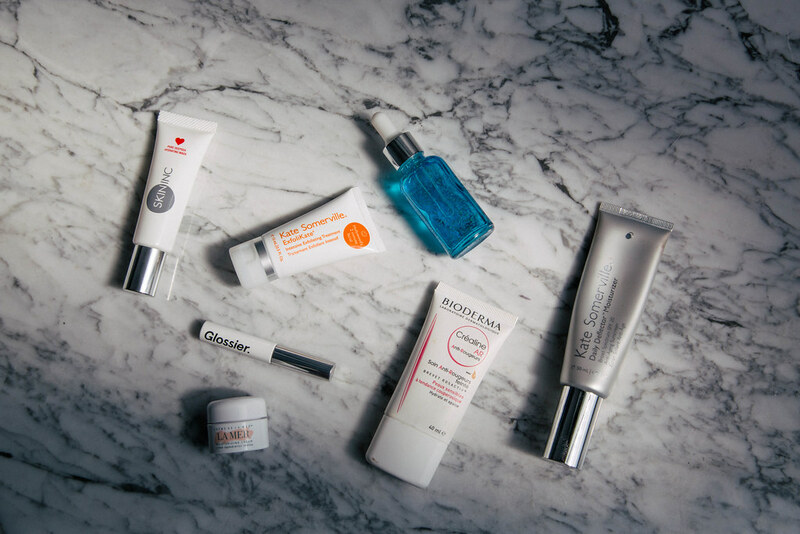 Not a lot has changed since my last beauty haul, but it is a testament of how much I love Skin Inc and Kate Somerville’s products that I’ find myself re-stocking the moment I notice the receding tubes. Here are some favorites that are carry-on friendly, and all you really need for a quick getaway. Skin Inc Deep Sea Mask-A light gel-like residue that you can apply for 30 minutes or leave on overnight. I always apply a coat before a red eye to keep my skin hydrated. Kate Somerville Exfolikate-A great travel size exfoliator with tiny micro beads that cleans inside your pores. Skin Inc Blended Serum-A hydrating serum blended with different vitamins that targets my dry skin. Kate Somerville Daily Deflector Moisturizer – My favorite daily moisturizer that I wear underneath my make up, usually mixing with Bioderma’s BB Cream to soften the foundation.